Gannon University is a private, co-educational Catholic university offering associate's, bachelor's and master's degrees, certificates and doctoral degrees and is located in Erie, Pennsylvania, United States. 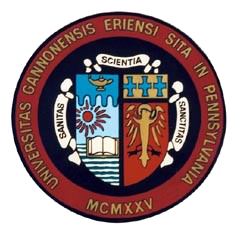 Gannon University has an alumni base numbering around 31,500. Current enrollment is 4,238. Gannon's academic programs are appropriately accredited. For the sixth consecutive year, U.S. News and World Report's "America's Best Colleges 2010" has ranked Gannon as a Top Tier Master's University in the northern section of the United States. And, for the first time, Gannon was also ranked as a Top Up-and-Coming School. This is only the second year for this category, which is determined by a peer assessment survey of high-ranking college officials, and recognizes institutions "that have recently made the most promising and innovative changes in academics, faculty, students, campus or facilities." Only 9 institutions in the northern region were selected for this category. Gannon's signature programs, Core of Discovery and Lifecore provide students with the foundation for experiencing both the academic and co-curricular experiences of a solid college education. The Core of Discovery is Gannon's liberal arts core curriculum that helps students understand humanity, social concepts and structures, their own ethics and values. Lifecore challenges a student's growth and development through participation of events and activities that encompass nine lifestyle dimensions. A range of campus organizations and activities encourages academic interests, community service, and moral and spiritual growth. Gannon also provides students with a broad program in intramural and intercollegiate athletics, including 18 athletic programs for men and women at the NCAA Division II level.